Come to find out, the Graflex Optar 135mm f/4.7 has the same 37mm filter thread as the LensBaby Muse… I rearranged my office last week and came across the +3 and +10 filters that I’ve rarely, if ever used, looked at them, noticed the similar size, and decided something had to be done. To be honest, I’ve never been one for screw-on filters. I put the LensBaby filters on my Amazon wishlist back when I still used Amazon, and Mom got them for my for a birthday gift to go along with the LensBaby. I might’ve used them once or twice. There are a few interesting passages in this first shot, but I shot it really hastily and was far more interested in getting a couple of exposed sheets of film ready to try out the SP-445… I think with more care, some interesting things could happen with it, and given how hard it is to focus with the filter on. The depth of field is so thin, and my understanding of how to focus with the ground glass, after 10 shots is a bit shaky. So it was a nice experiment. I think I’ll try again, and probably try with the +3 filter too. If I recall, I had better results with it on the LensBaby. 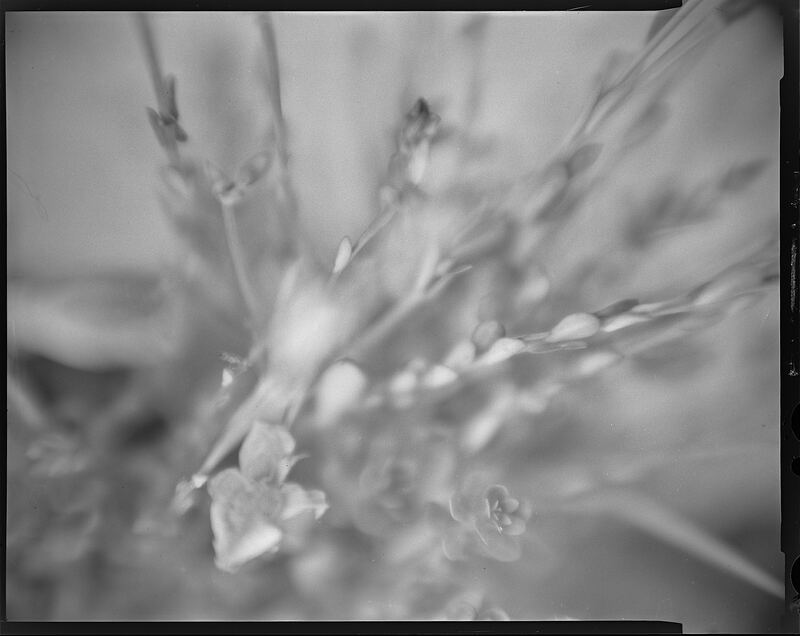 The most interesting experiment, though, was the SP-445 and developing 4×5 film with D76, stop bath, and fixer… It came out great, and I’m thrilled. More on that later.